Themis Papandreou ASWPPThis shows the qualification attained by Themis Papandreou within the SWPP and associated societies. Themis Papandreou has an Exhibition here. 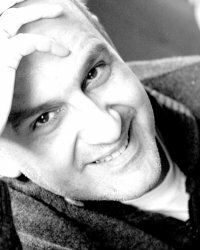 Professional photographer Themis Papandreou created the studio "fotografi" in 1995 aiming to provide top quality photographic services . Three years of studies and intense work at Vlassa's College in Athens, along with an extensive specialization in wedding photography at the Photography Research and Development studio in Athens guarantee the quality of our services. Once in Larissa and as soon as the studio was created, we worked with the therapeutic community "Exodos" teaching and practicing photography techniques to their home group. Five years of work resulted to six photography exhibitions. Our last exhibition titled "Jobs becoming obsolete in our city" took place at Larissa Contemporary Art Center. In the next years the studio has had three individual exhibitions of infrared B/W film. Specialized in Wedding Photography as well as in Advertising photographing of products and with criterion the quality of the provided services all these years the studio move on investments of photographic equipment that allowed it to combine the human knowledge and the newest technology in each photographic work separately. As professionals we have covered many Weddings or Christenings from Athens up to Saloniki and from Skiathos up to Paxoi... why not yours to?